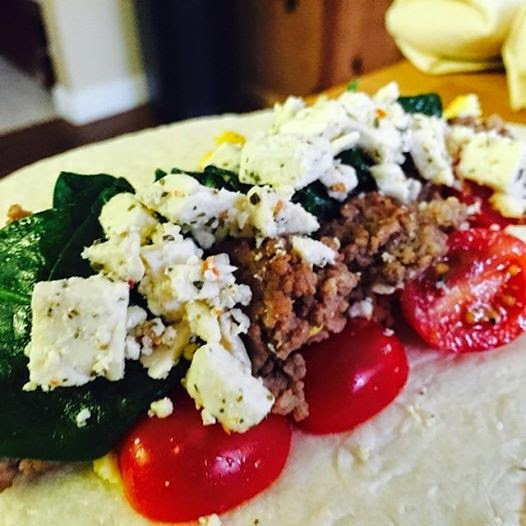 For this month's Freezer Meal Swap, I made these yummy Breakfast Wraps filled with scrambled eggs, turkey sausage, spinach, feta cheese and grape tomatoes. The combination is delicious and sort of healthy with the veggies thrown in. It's definitely a great way to start your day! The best part is you have a healthy, delicious breakfast in just a matter of minutes and you can just grab & go, just pop one in the microwave for a few minutes and you're done! 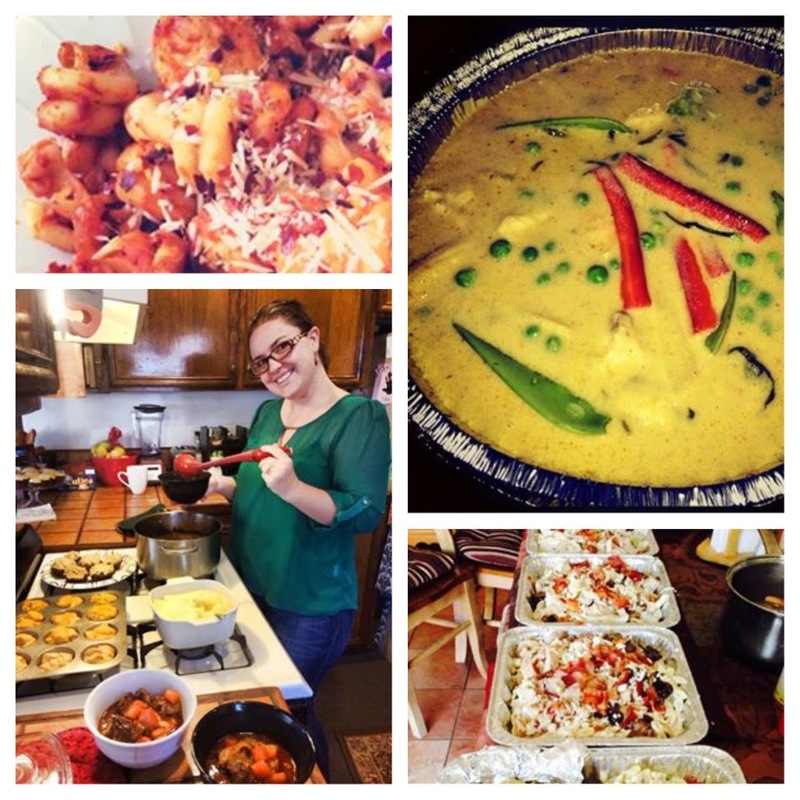 Customize this recipe to suit your lifestyle & personal preferences. Omit the meat if you're vegetarian, add different veggies and cheeses. Make a kid-friendly version using your kid's favorite ingredients. That's the beauty of cooking, it's all up to you! I hope you give these delicious breakfast wraps a try! 1. Heat a tablespoon of olive oil in a large non-stick skillet over medium heat. Add the sausage and cook until the sausage is thoroughly cooked through breaking the chunks apart as it cooks. Remove the sausage from pan and place in a single layer on a large baking sheet to cool. 2. Wipe out the skillet with a paper towel, then, in the same skillet, heat 2 tablespoons of Olive Oil over medium heat. Add the spinach and a few pinches of salt. Use tongs to gently toss the spinach as it cooks. Cook just until the spinach is wilted down. Do not over cook. Remove from the pan and place in a single layer on a baking sheet to cool. 3. Crack the eggs into a large bowl. Add the chopped parsley and milk and whisk well to combine. Melt a few tablespoons of butter in a large non-stick skillet over med-low heat. 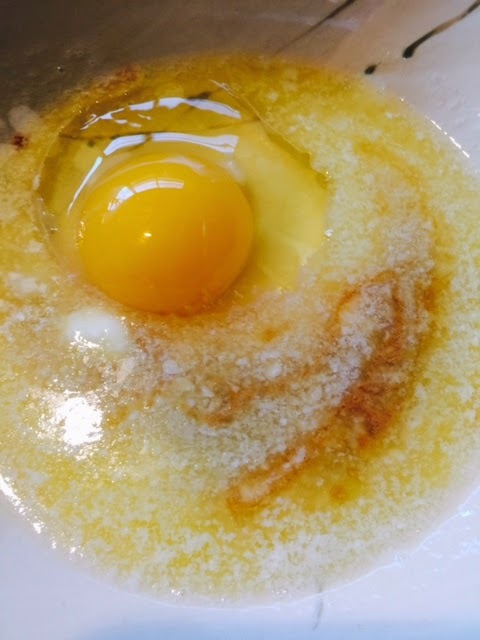 Once the butter has melted and starts to sizzle, add the whisked eggs and scramble stirring often with a rubber spatula. When you near the end of the cooking time (the eggs should still look soft and under done), sprinkle salt & pepper to taste and mix to combine. Remove the eggs from the pan while the eggs are still slightly under cooked and place in a single layer on a large baking sheet to cool. When the eggs, sausage and spinach have cooled, assemble the wraps. 1. Prepare your assembly area by placing all of the ingredients on your counter. 2. 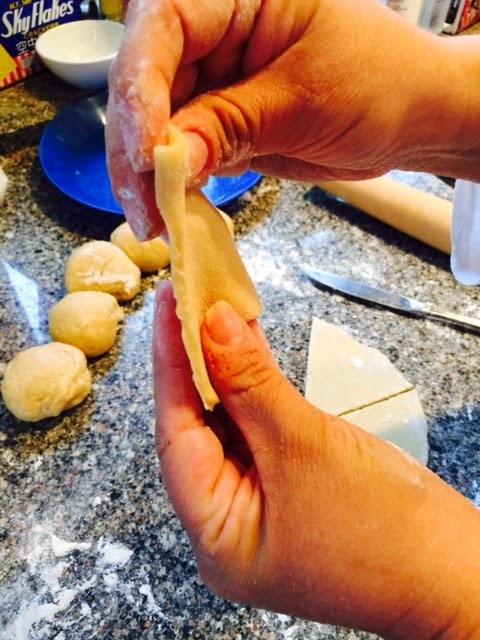 Place 6 tortillas in the microwave and heat for 30 seconds to make them pliable. ** These amounts are just estimates so use your best judgement according to the amount that fits into your tortillas. After you've rolled on, you will have an idea of how much to put in each wrap. 4. 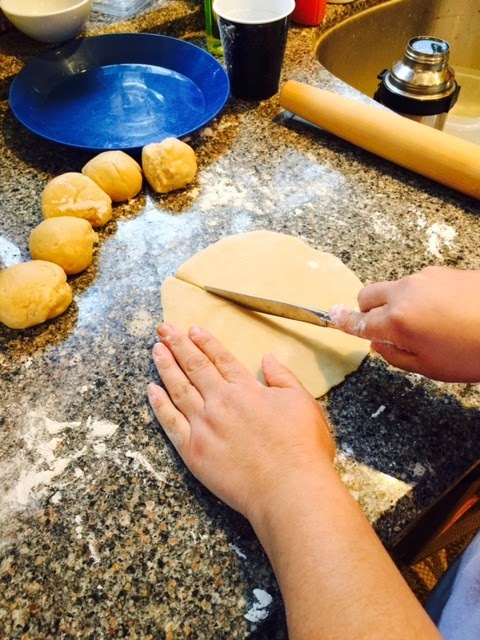 Fold the bottom edge of the tortilla over the ingredients, then fold the left and right edges over and roll tightly, like a burrito or egg roll. 5. Repeat the process until all of the wraps have been rolled. Wrap each one individually in plastic wrap then again in aluminum foil. Put as many of the individually wrapped wraps as you like inside of freezer bags and place in the bags in the freezer. 6. Store in the freezer for up to 30 days. 7. To reheat, remove all of the wrapping, wrap loosely in a paper towel and place on a microwavable plate. Heat in the microwave for 2 - 2 1/2 minutes. Allow to cool for about 1 minute then enjoy! 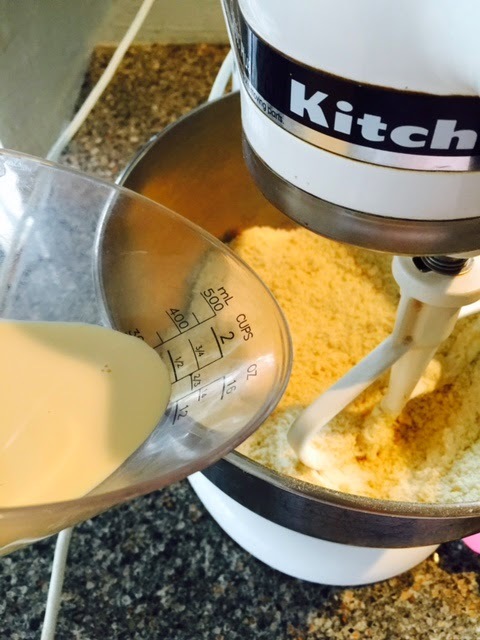 This recipe is a family favorite in our household. Every time my Tia Mela comes to visit, it's the first thing we ask her to make. I finally tied her down, handcuffed her to a chair and made her spill the beans on this amazing recipe... Well not really, but a good conversation over recent events and a little bribing and I had the recipe in hand. So with a little luck and a couple of experimental tries, I was finally able to decode the secret recipe that has been handed down from my Great Grandmother, to my Grandmother to my Aunt Mela and now to me!! I feel like I was given an award or something! 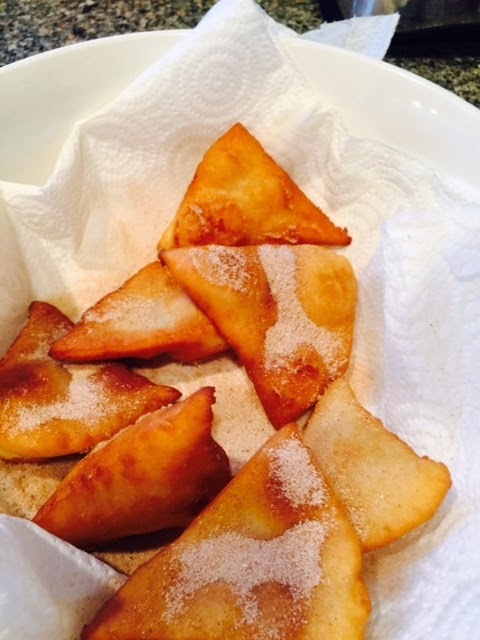 So... my LiveBakeLove friends, here is the treasured Chimango recipe that has been in my family for generations. I hope you give these delicious little donuts a try. 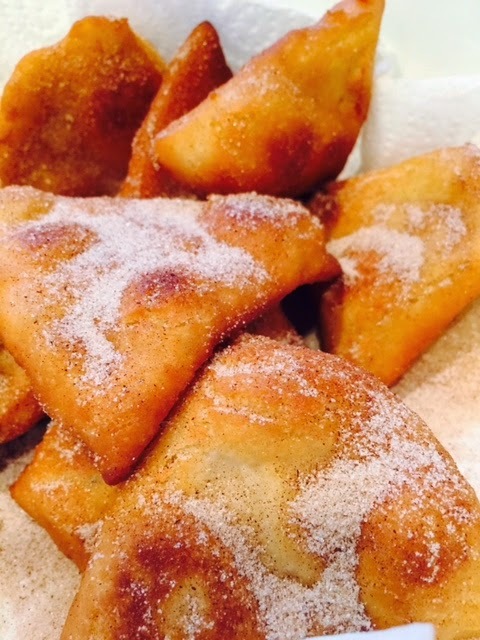 They are a light, puffy, cinnamon-sugar flavored gems. 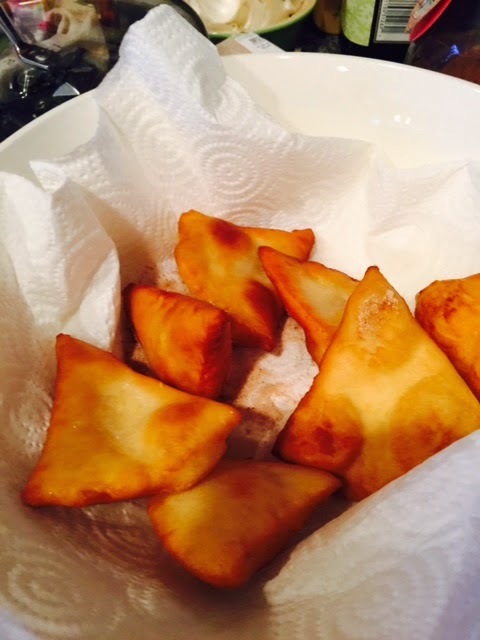 Like anything fried, they are best eaten warm, but are still good the next day. bowl. I used my Kitchenaid. 2. 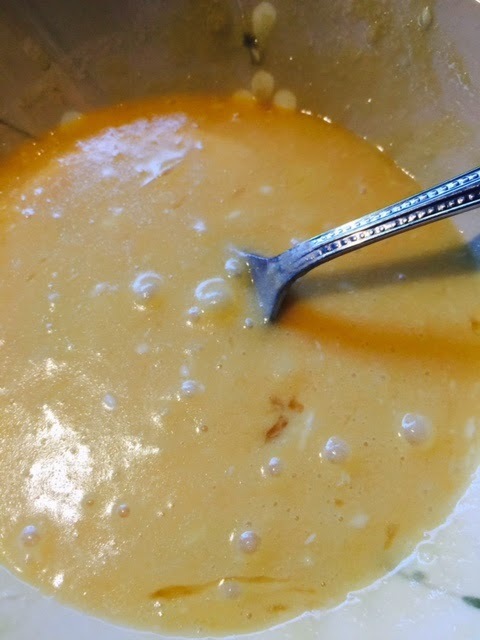 Mix together Vanilla, Melted Butter and large egg. 3. Make a well in the middle of the flour mixture and add egg mixture. 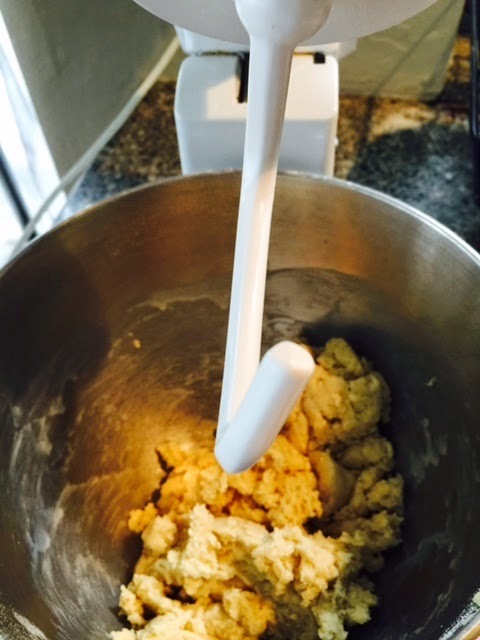 Using the paddle blade, mix together until mixture looks like a crumble. 4. Slowly add in the Evaporated milk until the dough comes together. If it is too dry, add the additional two tablespoons of Evaporated milk. 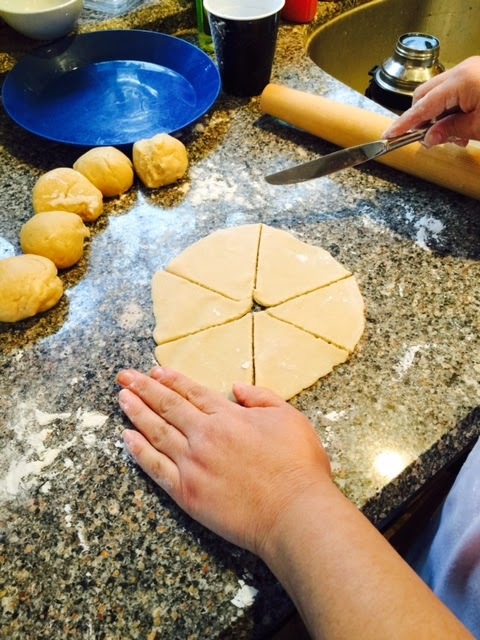 The dough should come together as pictured. 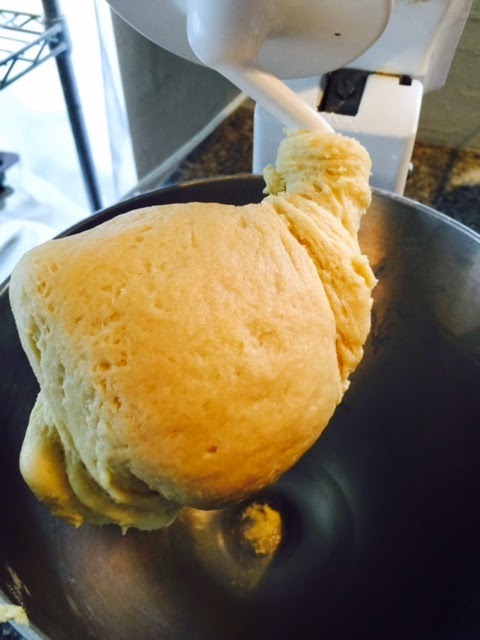 Once the dough comes together, if you have a kitchen-aid, switch to the dough hook and knead for about 3 minutes. 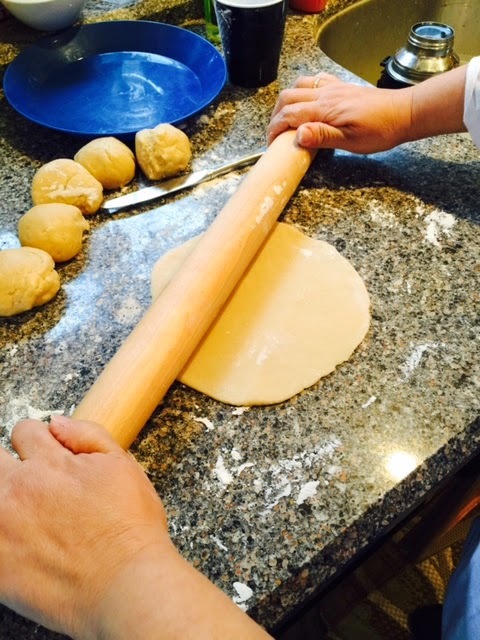 If you are doing by hand knead for about 5 minutes. 6. While dough is resting, combine the sugar and cinnamon in a shaker. Set aside. 7. Line a medium size bowl with paper towels. Set aside. 8. 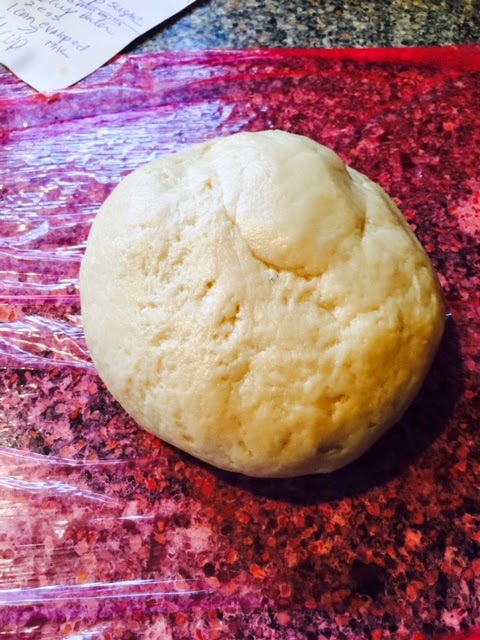 After dough ball has rested, divide dough into 6 golf size balls. 11. Heat oil on medium heat about 2-3 minutes in a 12inch pan. 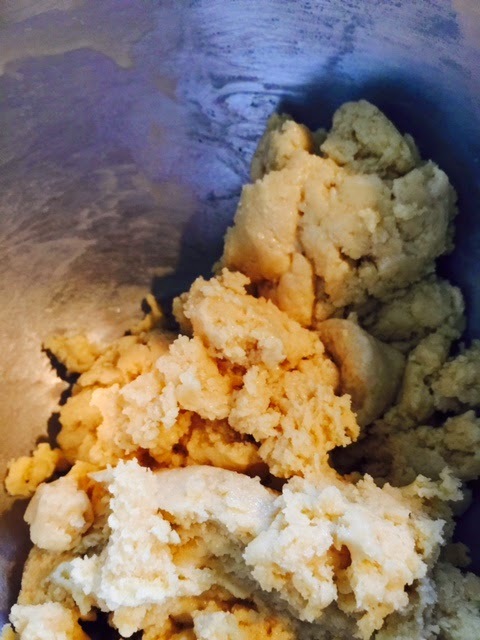 To test , drop a small piece a dough into oil, if it bubble's up on the sides , the oil is ready to go. 12. Add about 6 pieces into pan. Fry about 2 minutes on one side until golden brown. 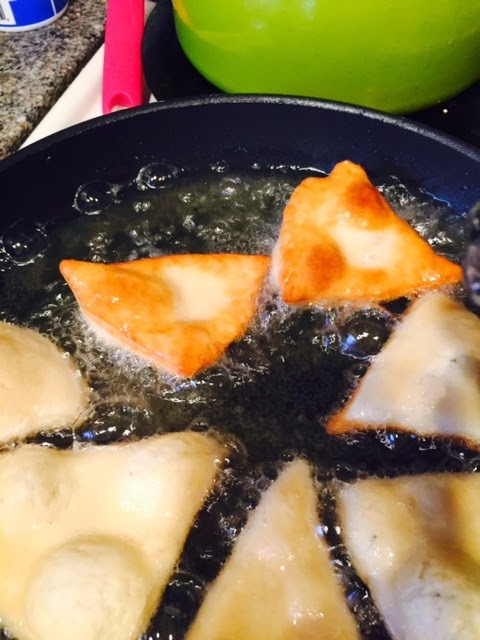 Flip, and fry the other side until golden brown. 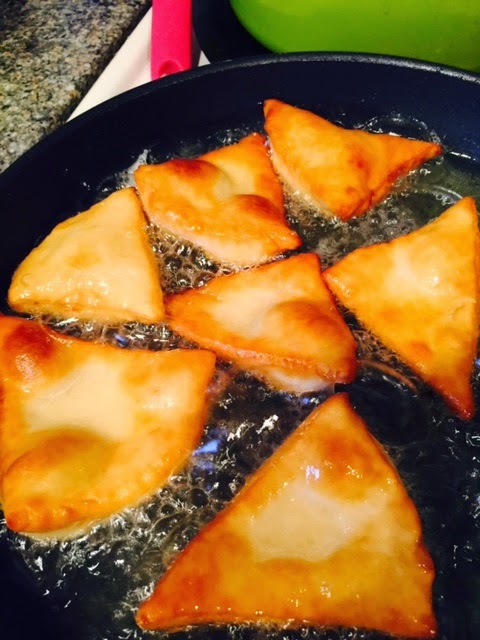 The donuts will puff up as you fry them. 13. Shake off the excess oil and put them into the paper towel lined bowl. Sprinkle with the cinnamon sugar. 14. Repeat until you are done frying all 36 donuts. 15. 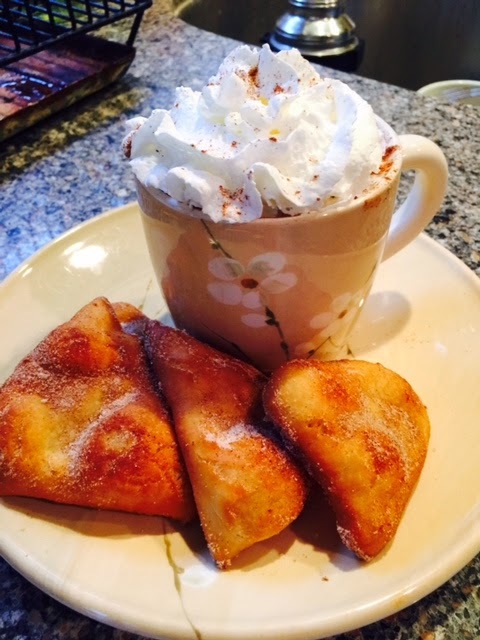 Enjoy with a nice cup coffee or hot chocolate. 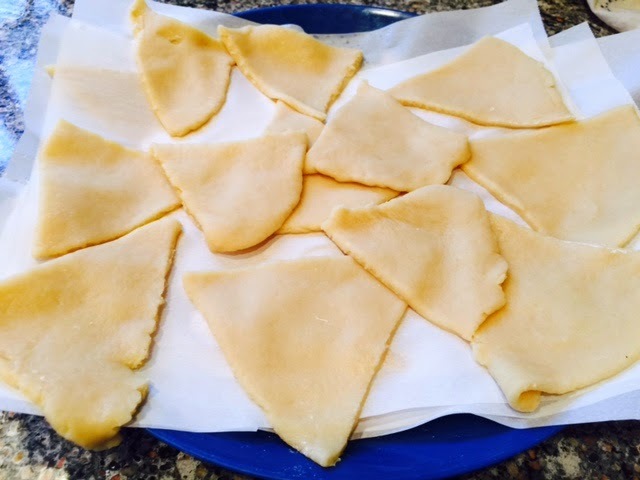 Rather than make a savory cracker or bread, I decided to make something my partner for this month, Elizabeth from Food Ramblings, could use over and over. 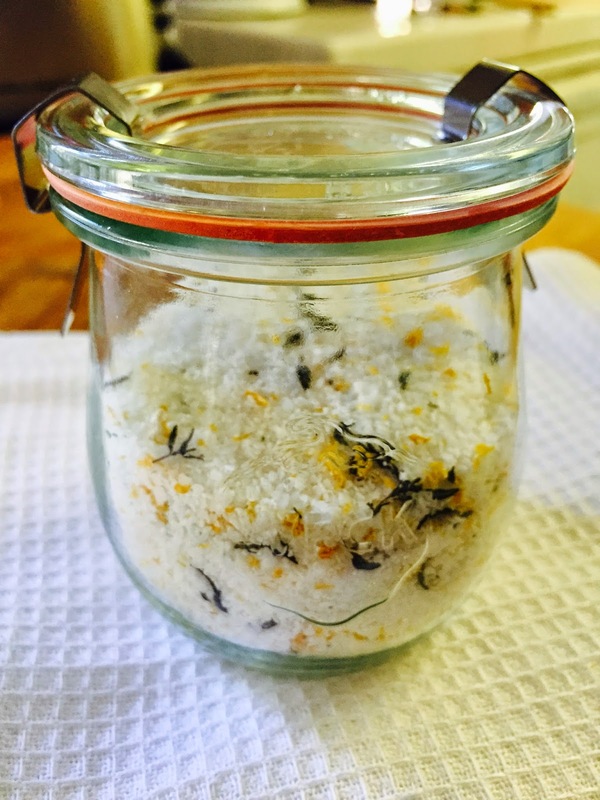 I just happened to have a bag of Meyer Lemons and lots of leftover fresh herbs from the holidays so I made finishing salts! 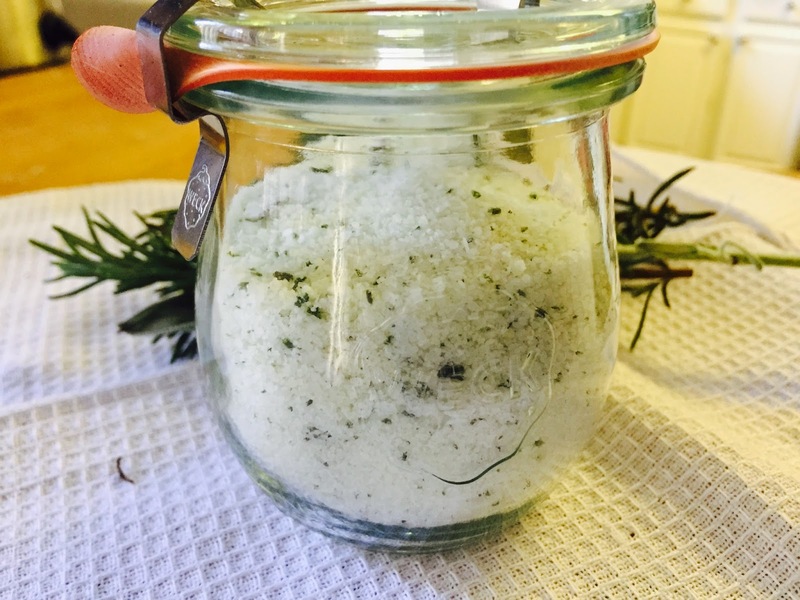 Herbed finishing salts are a great way to use up fresh herbs and add a lot of flavor to your dishes. They're super easy to make, very customizable and make great hostess gift and favors! The flavor combinations I chose, Meyer Lemon & Thyme and Garlic, Rosemary and Sage compliment a wide variety of dishes from beef and fish to vegetarian dishes. Whip up a batch today and see how it awakens the flavors in your food! 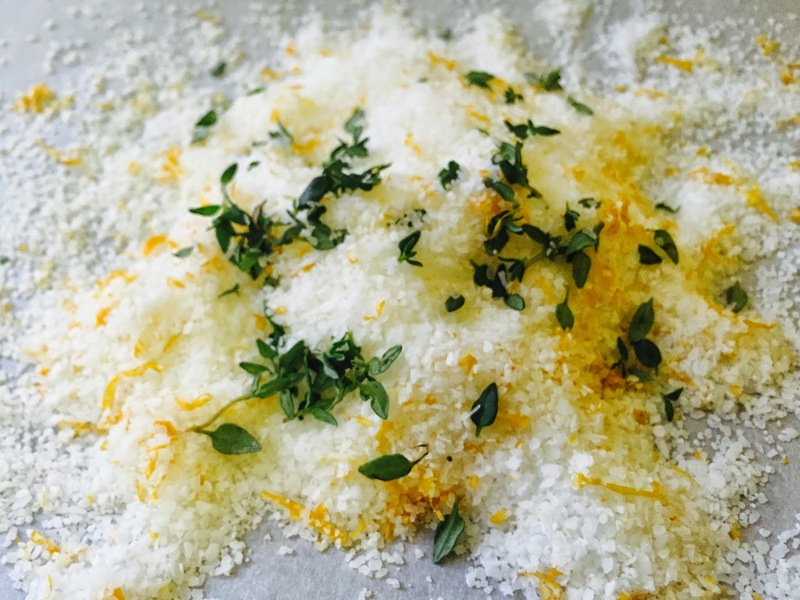 Line a baking sheet with parchment paper and sprinkle the lemon zest over the salt and massage the zest into the salt to release the oil from the zest. The salt should become very fragrant. Add the thyme leaves and toss with your hands to combine. Spread into an even layer and bake for 15 minutes or until the zest and thyme leaves are dehydrated and the salt feels dry. Remove from oven and allow to cool. Stir the salt mixture with a fork to separate and break apart any chunks. 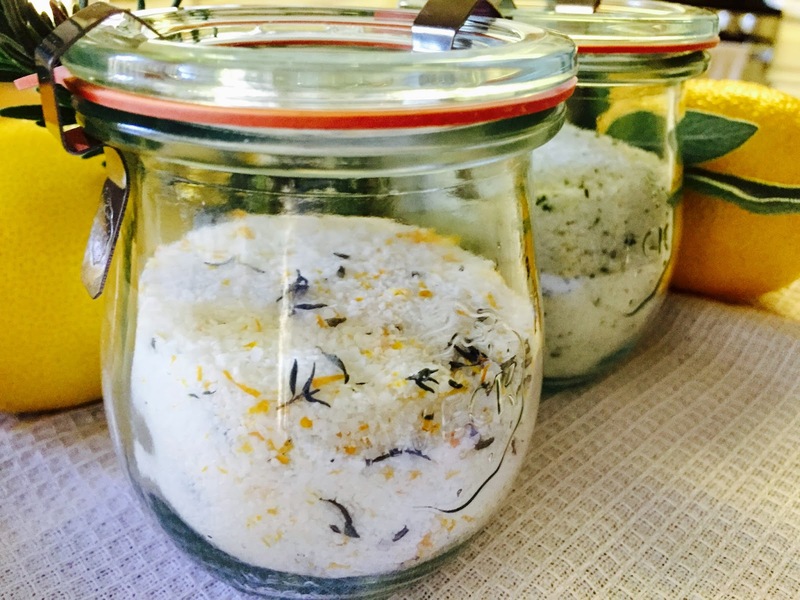 Place in a sealed container (I like to use my favorite Weck jars) and store in a dark, dry cabinet for several weeks. Use as a finishing salt on fish and chicken. 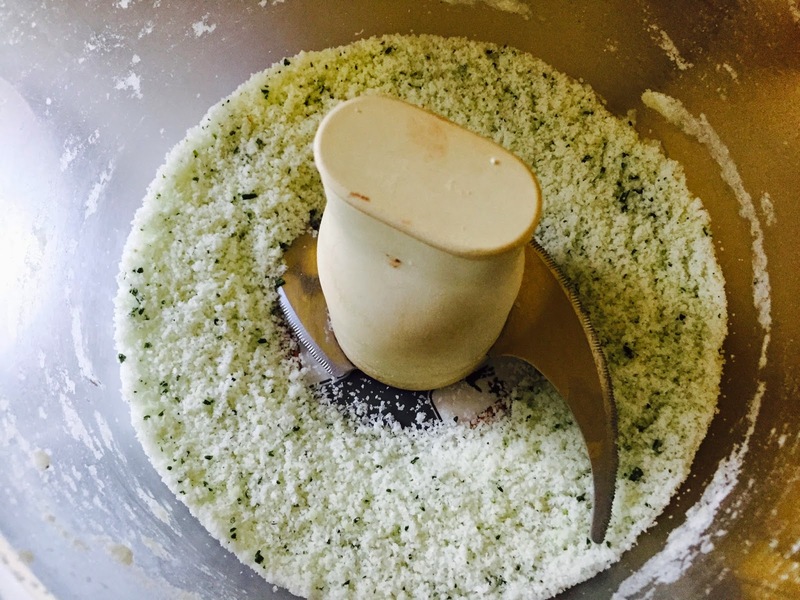 Place the coarsely chopped garlic, Sage and Rosemary into the bowl of a small food processor. Pulse until the garlic and herbs are finely chopped. Add the salt and pulse to combine. 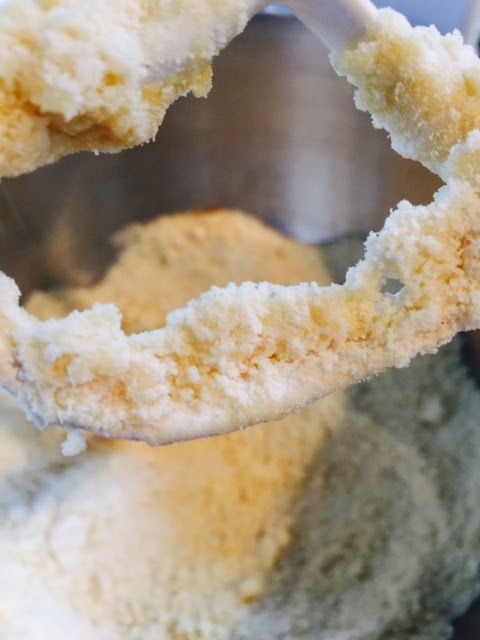 Place the salt mixture into a bowl and allow to dry for 1-2 days stirring occasionally to separate and break up any chunks. 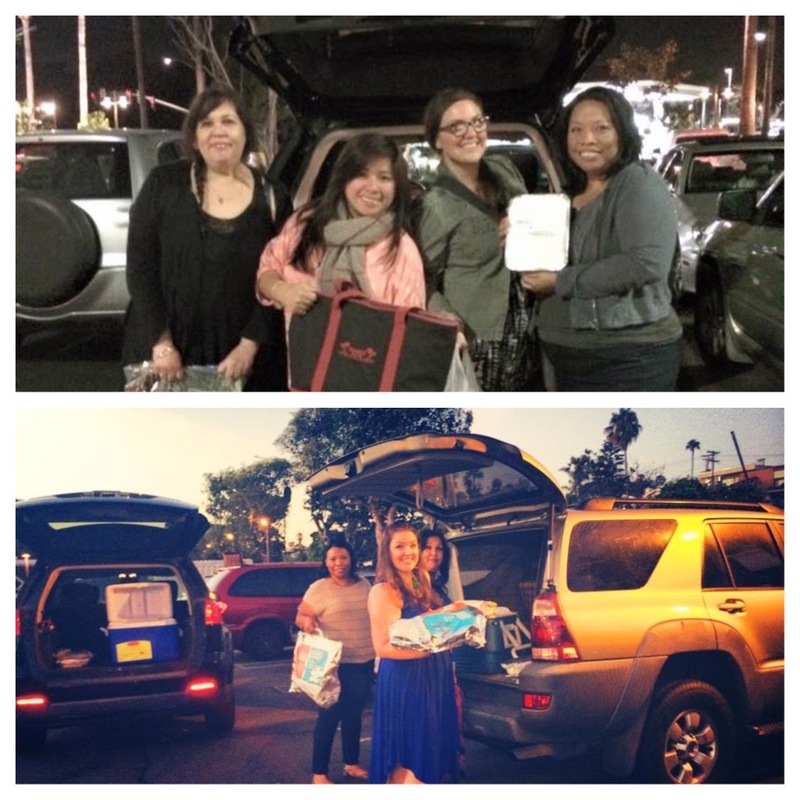 If you like to have fun and eat great food, why not become a member of the Leftover's Club? Sign up over at Food Ramblings.